Why do psychological thrillers based around domestic settings have so much appeal? The Black Sheep focuses on the unsolved murder of Fran’s husband – and her growing realization that someone within her own family may have killed him. At its heart the story shares much of its DNA with my other psychological thrillers: the setting is domestic, the dramatic conflict is embedded within the family relationships and there is a murder at the centre of the tale that the main character strives to solve. It’s hard to answer why these themes recur through my thrillers, but I’m certain I’m drawn to them because they are the story elements I regularly look for in the books I read and the films and TV drama I watch. And it’s not just me. So many readers love family and relationship based crime stories that such dramas even have their own sub-genre now: domestic noir. So why is the domestic setting so powerful and so appealing? I think it’s a combination of several things. For a start, domestic life is often by its nature repetitive and humdrum. It’s rarely glamorous or exotic; nor does it normally deal in the dramatic scenarios faced by police detectives and hospital doctors. So when terrible crimes occur in people’s homes, it feels all the more shocking and upsetting. Of course, in real life many of the darkest, saddest, most painful events we all experience happen – or are inextricably linked to – our homes. From shocking affairs to unexpected bereavements home life is the backdrop to heartache, despite the fact that it’s the one place where we are supposed to feel safe. So part of the appeal of a domestic setting arises out of that tension. Then there’s the specific nature of the crimes that happen within and around the home. Established relationships reside – and implode – there. We leave and are abandoned there. Those we love, betray us. Those we dislike, we have to find a way to rub along with. The crimes that happen inside the home or within our families have a special potency precisely because family relationships are the most powerful we experience. And on that smaller canvas, the writer has a chance to delve deep inside the psychology of those relationships. From the mystery of a marriage between two individuals to the complexity of the extended family network, there is a mass of material to explore and expose. Because - and I’m generalizing here – women are perceived as being more interested than men in the detail and analysis of personal relationships and because many domestic noir readers are women, the genre is unfortunately often denigrated as somehow less worthy than crime stories that operate on a bigger scale and deal with corrupt multinational organisations or state-sponsored terrorism or warfare. 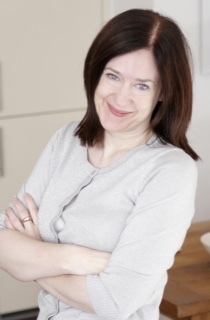 In this sense, domestic noir is the dark underbelly of chick lit! This denigration is a shame. After all whatever horrors can and will happen in life focusing on the private and individual, rather than the general and public, is simply a way of cutting through to the personal experiences that, by definition, readers of fiction are generally fascinated by. Finally, I think we’re all attracted to certain types of stories – and though these change as we grow, there is a sense – for many people – in which they never grow out of the fundamental themes that spoke to us in the past. Children, for instance, often find stories that focus on a need to return to the security of home compelling. And many adults are drawn to the same theme and look for stories that might scare or challenge them but which conclude with a sense of safety and resolution. Teenagers are particularly drawn to tales of identity and self-realisation. As adults, we enjoy exploring these themes too. Certainly within domestic noir, many stories revolve around the need for the main character to expose the truth about some aspect of their family – and to adjust to the new world of relationships this leaves them in. 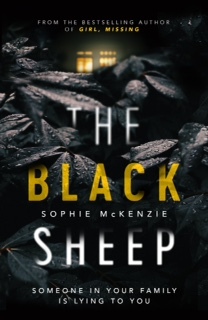 In The Black Sheep, the title reflects the way several of the main characters see themselves as on the outside of their family life, struggling to deal with their changing domestic landscape. Perhaps some people also read domestic noir as a way of escaping from the safety of our own lives and dipping a toe into a fictional world where the main characters have it so much worse. Perhaps – and this is not contradictory - they also use the stories they find as a mirror to their own experiences. The suffering of a relatable central character in my book may bring up past pain from my reader’s real life. The dance between the reader and the story is individual and many-layered. In psychological thrillers set in domestic environments, those layers can be both endless and skin-deep, an imagined world to lose oneself in and a dark reflection of ones own suffering.